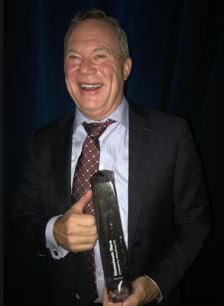 Calgary, AB – (October 22, 2018) – The Calgary Chamber announced Friday, October 19th 2018 that Zedi has been selected as the winner of the Calgary Chamber Hometown Hero Award. On behalf of the entire team at Zedi, Matthew Heffernan accepted the award at the Friday evening awards gala. Over 400 people attended, and was hosted at The Grey Eagle Casino. The award is based on a business that has grown to become a community staple, and a household name through their actions as a champion throughout the city. A committee decides nominations for the award. A winner is then decided by committee vote. “Zedi is proud to be a part of dozens of communities that we work, play and thrive in. This includes the community of Calgary, which is why it’s such an honor to have been nominated. Even more exciting that we have now been awarded as a Home Town Hero” said Matthew Heffernan, CEO of Zedi. Winners of additional awards that were presented that evening include; ATB Small Business of the Year, BDC Emerging Growth Award, and Company Culture Award. As well as the Innovation Award, Indigenous Entrepreneurship Award, KPMG People’s Choice Award, and the Social Entrepreneurship Award. The Calgary Chamber is an independent non-profit, non-partisan business organization. For 127 years the Chamber has worked to build a business community that nourishes, powers and inspires the world.